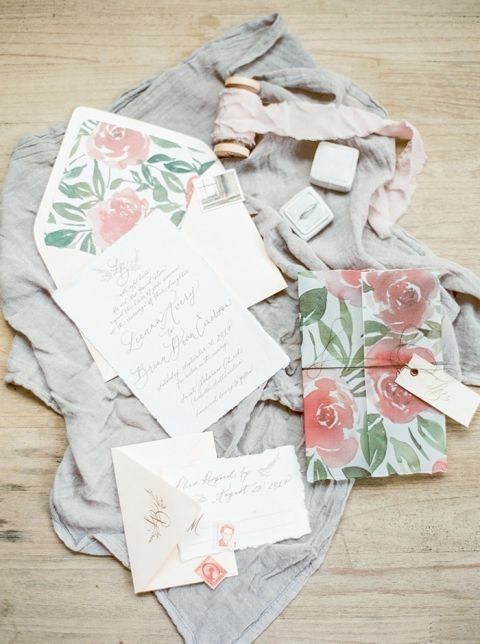 The colors of historic Charleston inspired this fresh Southern wedding styled shoot from Decorus Photography and The Petal Report! The pink walls, summer flowers, and cobblestone streets came together in this sweetly preppy editorial in coral and gray! 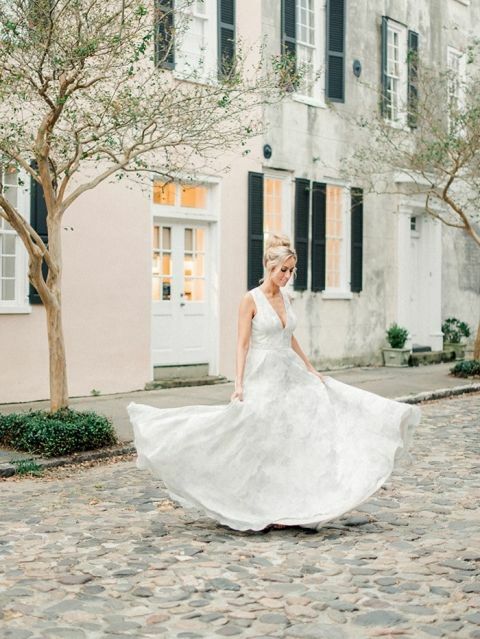 The dreamy watercolor wedding dress and vibrant blooms created a gorgeous modern look in the timeless streets of downtown Charleston! The courtyard and gardens of the iconic Parsonage hotel created the perfect setting for an intimate wedding for two. This romantic style of the elopement was influenced by the soft, natural setting as well as the stunning history of the venue. The bride and groom took advantage of the charm of the historic downtown to capture wedding day photos against the backdrop of pink walls, wrought iron, and cobbled streets. 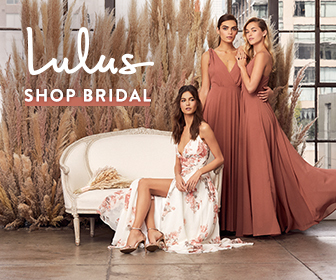 Hand-drawn invitations and menus highlighted the botanical elements of the shoot, and the soft watercolor tones of her gown added a romantic yet modern twist on a traditional wedding dress. 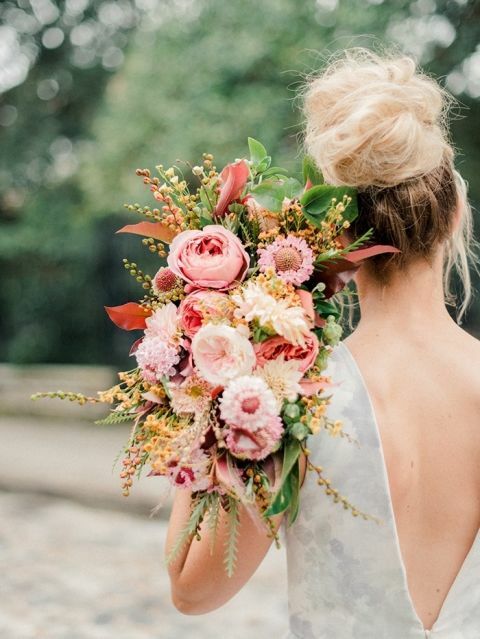 A coral and pink bouquet added a bright pop of color to the bride’s subtly patterned dress, complemented by a high bun updo by Wild Ivory Beauty to finish off her look. The couple’s intimate Sweetheart Table was set with laser cut lace linens and rose gold place settings from Ooh! 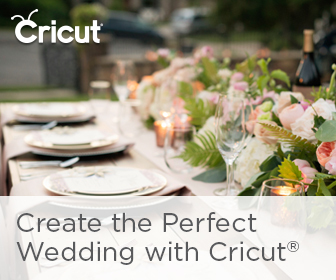 Events to create a colorful tablescape. Vibrant summer flowers in a vintage compote completed the table decor. In contrast to the historic courtyard reception, the cake table offered a modern touch with a ceramic pedestal offering the textural confection from Cakes By Kait!